An international court ruled on Tuesday that China has no legal basis in claiming rights within what it calls the “nine-dash line,” a demarcation line used by China for its claim to the South China Sea. Following the decision, angry comments flooded China’s social media dismissing the tribunal’s decision, with many people using memes to express nationalist sentiment or call for boycotts. 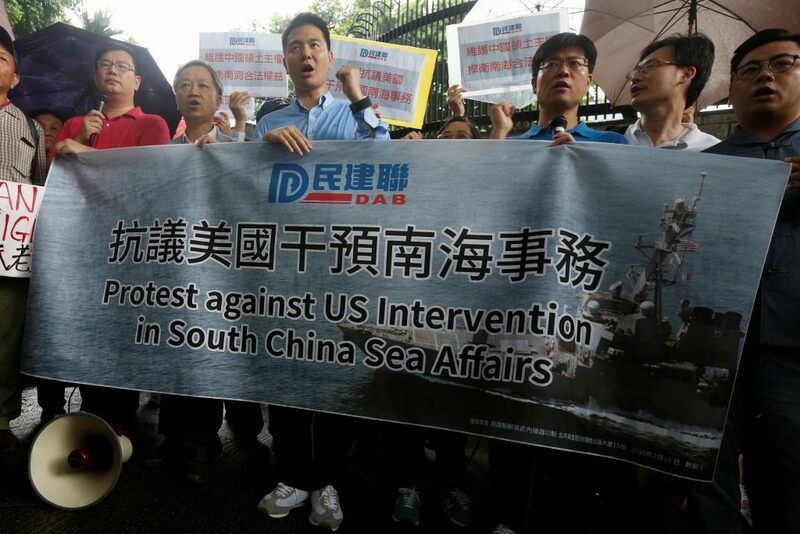 In a video that was shared thousands of times, a group young Chinese people repeat “South China Sea arbitration: who cares” over and over again. 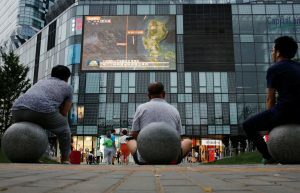 A web game made by a Hong Kong-based media outlet called the “South China Sea Adventure” gives users the chance to play a Chinese fisherman who is drifting on South China Sea after a storm. During the game, the U.S. Navy demands that the player leave the water — then, he is chased by the Vietnamese army and eventually saved by the Chinese Marine Vessels. Many vendors put up posters that read, “We have stopped selling Filipino mangoes.” Some even renamed their products as “Patriotic dried mangoes.” But buyers said online that some packages still say “product of Philippines,” leaving angry reviews. The Chinese government has also contributed to online discussions of the South China Sea ruling, mainly with graphics and animations that promote patriotic rhetoric. On Sina Weibo, a Chinese social media platform, China’s state newspaper People’s Daily published a map of China with the nine-dash line accompanied by the slogan “China cannot lose a single bit.” The image has been retweeted more than 2.9 million times. The map can be seen above in a tweet. But the government has also deleted ultra-nationalist tweets from people calling for war over the issue, according to a report by Foreign Policy that cited information from the anti-censorship website Freeweibo. “The government has fanned patriotic sentiment through the media — but kept it online rather than in the streets,” Jessica Chen Weiss, associate professor of government at Cornell University, said in an op-ed for the Washington Post. Meanwhile, people in the Philippines are celebrating the ruling with memes of their own.